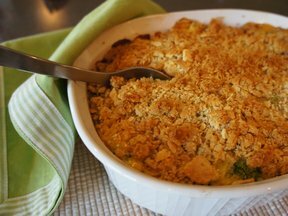 Whether served as a side dish or as a vegetarian entree, this inventive broccoli and rice casserole recipe will become a favorite. Preheat oven to 375° F. Lightly spray baking dish with Pam cooking spray. 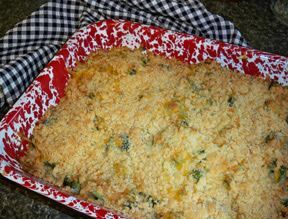 In bowl, mix together egg, flour, cottage cheese, rice, pepper, lemon thyme, and 2 tablespoons cheese. Set aside. Add onion and saute until lightly browned (about 10 minutes). Add garlic and saute 1 minute. Add broccoli and mushrooms and 1 tablespoon fresh lemon thyme. Remove from heat, add cottage cheese mixture and blend well. 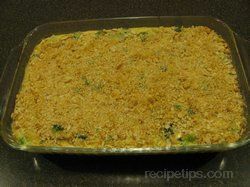 Spoon mixture into prepared baking dish. 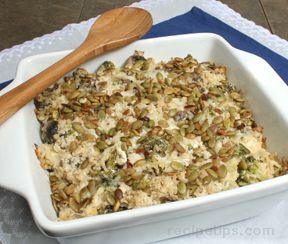 Sprinkle the rest of parmesan cheese (2 tablespoons) plus seeds on top. Bake 25-30 minutes. Serve hot.